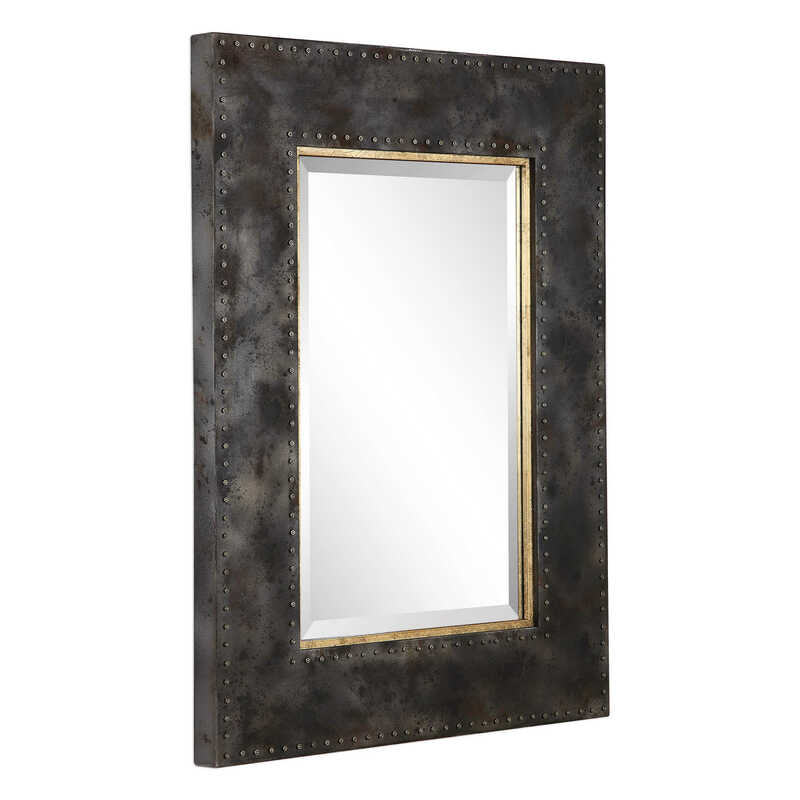 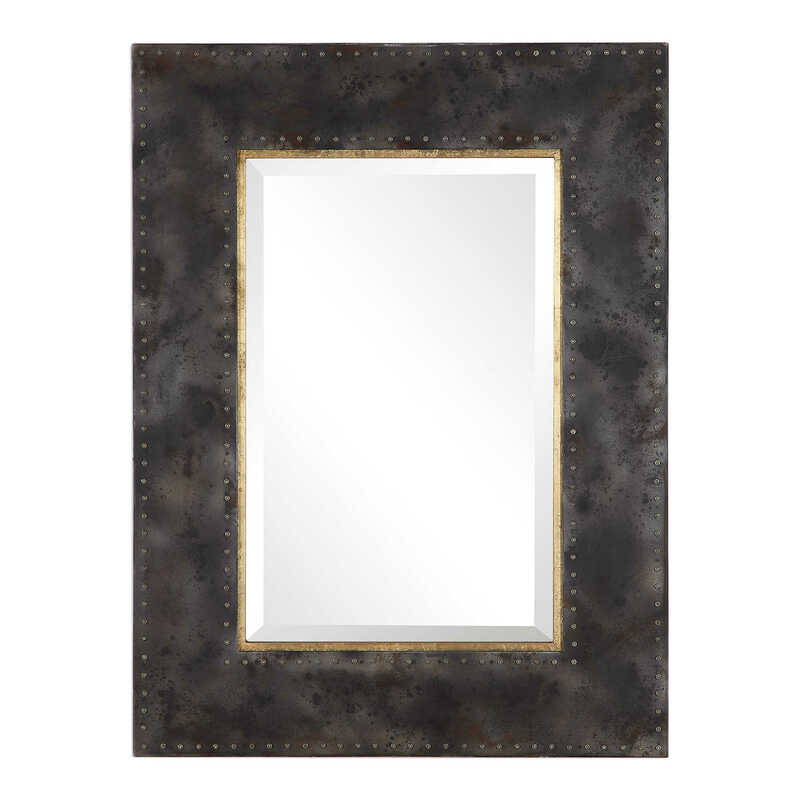 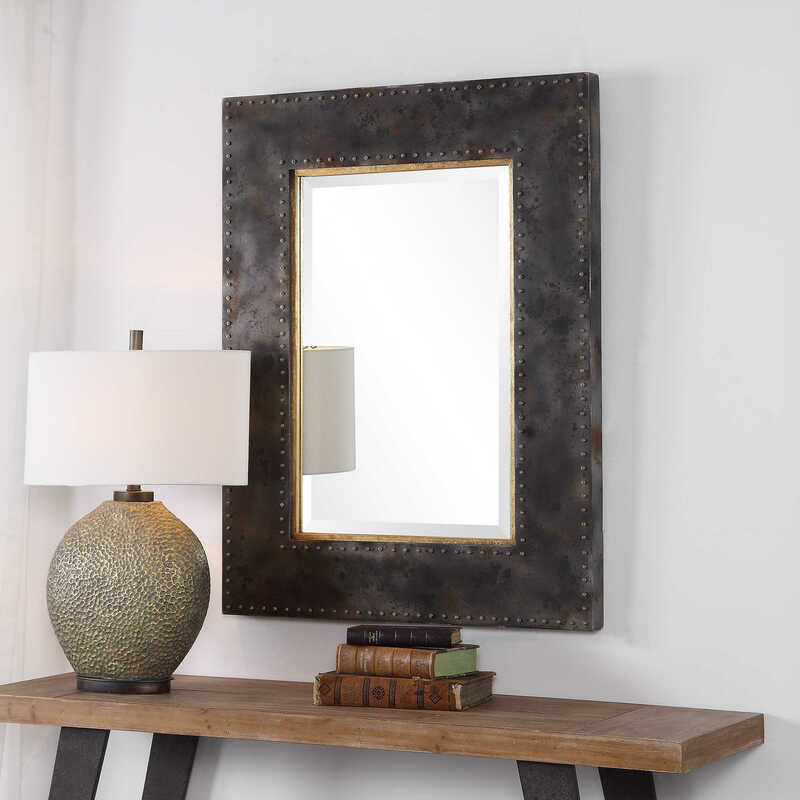 This rectangle mirror design radiates industrial style by featuring a heavily oxidized steel gray finish that's accented with exposed brass nut and screw details. 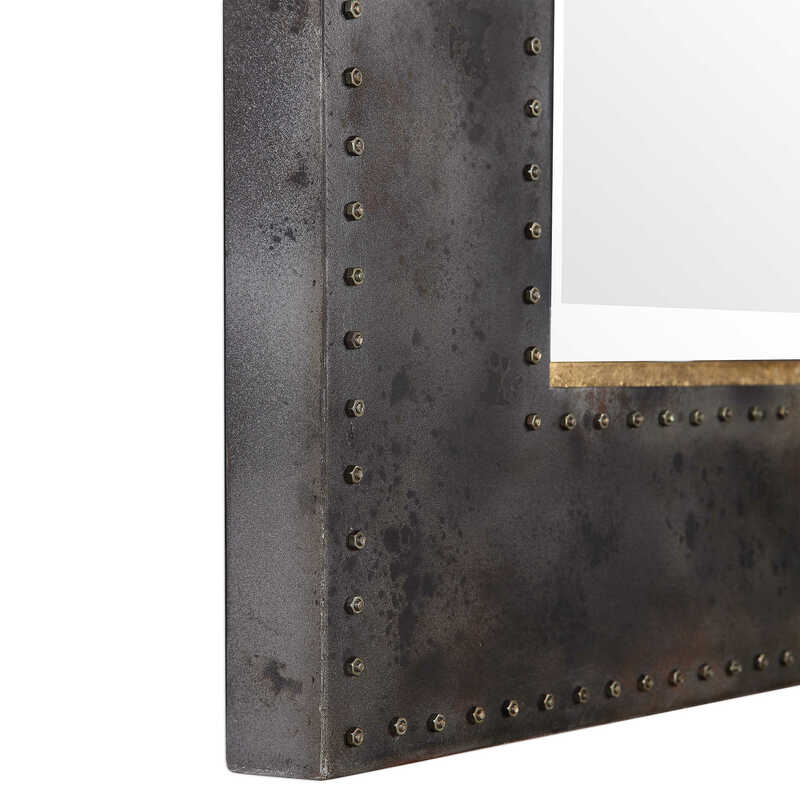 A petite antiqued gold leaf inner frame compliments the design. 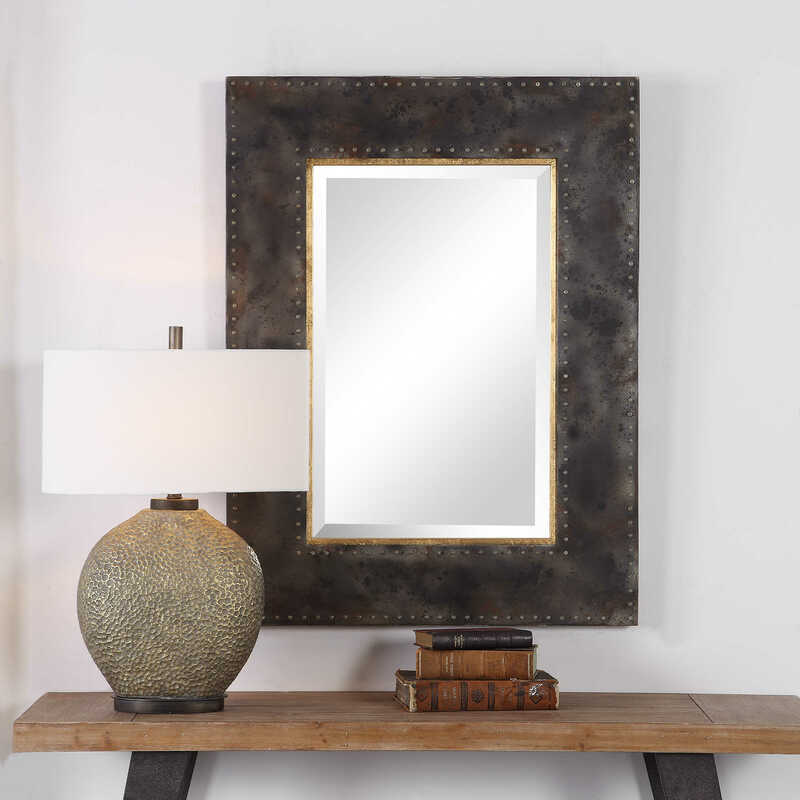 This piece has a generous 1 1/4" bevel and may be hung horizontal or vertical.